How do you trace the origins of a medium that documents history itself, and how do you reveal the roots of a genre dedicated to telling untold stories? 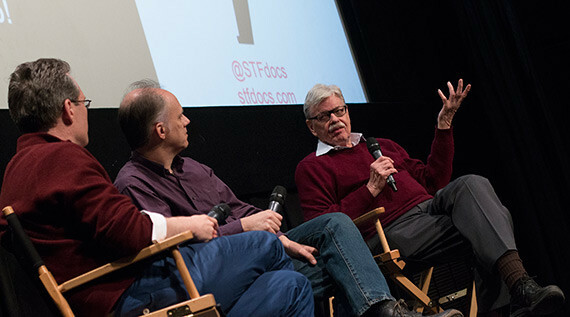 In a screening dedicated to producer Ali Pomeroy, Stranger Than Fiction welcomed filmmakers David Van Taylor and Cal Skaggs to the IFC Center to divulge the secrets of documentary history. TO TELL THE TRUTH: A HISTORY OF DOCUMENTARY FILM is a multi-part series that explores the social, economic and political conditions that led to the rise of, and the need for, short films about real life and real people. Episodes 2 and 3, shown on Tuesday, look to the late 1920s through 1947, formative decades that saw the genre tackle The Great Depression, labor strikes, and World War II. In 1930, a group of renegade filmmakers founded the Workers Film and Photo League, an organization dedicated to capturing the struggles of everyday people during the harshest days of the Great Depression. Working against the precedent set by newsreel footage, which largely ignored current events in favor of flashy footage with little substance, the WFPL captured the discontent of the general public at a defining moment in American cultural and socioeconomic history. The rise of Franklin Delano Roosevelt’s New Deal and reform-based social programs led to the production of a number of documentary films that attempted to give a narrative structure and dramatic arc to the issues facing the nation, while also drawing connections between urban poverty and rural drought and famine. Former members of the WFPL, led by writer/director Pare Lorentz, produced The Plow That Broke The Plains, released in 1936 to critical acclaim as not only a groundbreaking expose of the uncontrolled agriculture industry, but as a new method of informative, provocative filmmaking. In the wake of Pearl Harbor and the onset of World War II, documentary film making became intertwined with political propaganda, as Nazi Germany exploited the medium with startling success. Led by Leni Riefenstahl‘s controversial yet visually striking film Triumph of the Will, which glorified Hitler’s rise to power, documentary film making became a powerful and persuasive wartime communication tool. TO TELL THE TRUTH continues to explore the connection between propaganda and documentary, and raises important questions around whether the two are really all that different, and that the answer perhaps lies in the motivations of the filmmakers. In the Q&A following the screening, Van Taylor added that the goal of the series was to tell the story of the storytellers, and that while the genre of documentary filmmaking has grown and evolved over the years, the core values have remained the same. Stranger Than Fiction’s Winter 2015 season closing night is Tuesday March 24th, with THE MUSES OF ISAAC BASHEVIS SINGER. The series takes place each Tuesday night at the IFC Center. 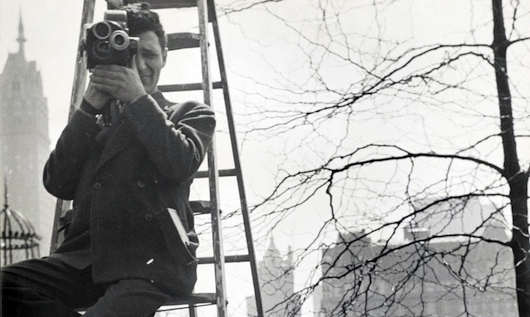 The season features an eclectic mix of sneak previews and retrospectives, including appearances by filmmakers Marc Levin, Ian Olds, Liz Garbus and film subject Seymour Bernstein. Writing by Krystal Grow is an arts writer and photo editor based in New York. She has written for TIME LightBox, TIME.com, LIFE.com, WIRED Raw File, The New York Times Lens Blog and the DOC NYC blog. Follow her on Twitter and Instagram @kgreyscale.